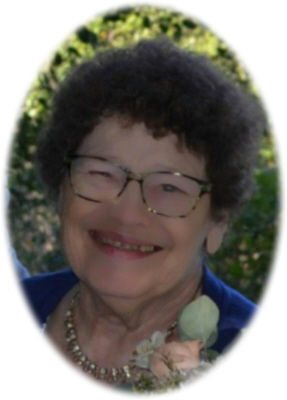 Georgia Loy Savage age 76 of St. Johns, MI, passed away Wednesday, November 28, 2018 at Sparrow Clinton Hospital, St. Johns, MI. Funeral Services will be held at Smith Family Funeral Homes - Osgood Chapel, St. Johns, MI, on Tuesday, December 4, 2018 at 11:00 A.M., with Pastor David Leisman officiating. Burial will take place at Hillside Cemetery, Delta Township, MI. Visitation will be held on Monday, December 3, 2018 from 3-7 P.M. at the funeral home. Georgia was born in Sturgis, MI on February 20, 1942 the daughter of David and Lizzie Grace (Hahn) Christensen. Georgia married Norman on October 24, 1964 in Lansing, MI. She resided most of her life in DeWitt. Georgia loved her family first and foremost. Her faith in God was a big part of her life and very important to her. She enjoyed doing ceramics and painting. Christmas was her favorite time of the year. She will be remembered for her giving and loving heart. She was diagnosed with type I diabetes at the age of three and conquered diabetes for 73 years. She is survived by her husband Norman Savage of St. Johns, MI; daughter Cyndy Savage of Holt, MI; daughter Pam and George Millben of Gold Canyon, AZ; son Ryan and Misha Savage of Owosso, MI; daughter Nichole Savage of St. Johns, MI; son Todd and Michelle Savage of St. Johns, MI; 6 grandchildren: Tiffany Payne, Ashlee VanZee, Austin VanZee, Autumn VanZee, Ava Savage, and Addisyn Savage; and brother Dwayne and Nancy Christensen of St. Johns, MI. Georgia is also survived by numerous nieces and nephews and many friends including her lifelong friend Judy Tomlian. Georgia was preceded in death by her parents. Georgia's family would like to send a special thank you to Dr. Beal and the nurses at Sparrow Clinton Hospital for their compassion and care. Memorials may be made to the American Diabetes Association. Online condolences can be sent to www.smithfamilyfuneralhomes.com. The family is being served by Smith Family Funeral Homes - Osgood Chapel, St. Johns, MI.